It’s certainly not the first graphic novel about zombies. Brian Ralph's got his own take on the genre. He takes you, the reader, into the story. Open the cover. Find yourself ragged, covered in debris. A one-armed man greets you, offers underground safety. Pours you a cup of water. Becomes your protector. 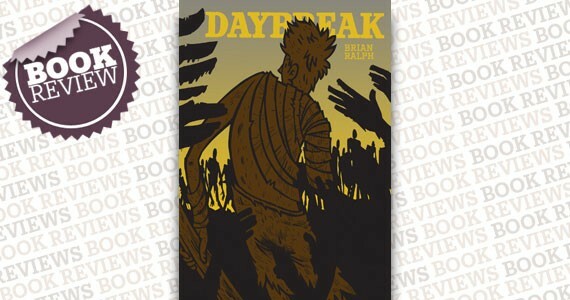 Daybreak’s a survival story---think a cross between Dawn of the Dead and The Road. But this time the zombies are out to get you. Me? Yes, you. Daybreak’s second-person perspective/first-person shooter style cleverly finds the author avoiding showing the reader’s character’s hands or body. No speech or word balloons, either. Using post-apocalyptic surroundings, Ralph allows the threat to be the carnage.